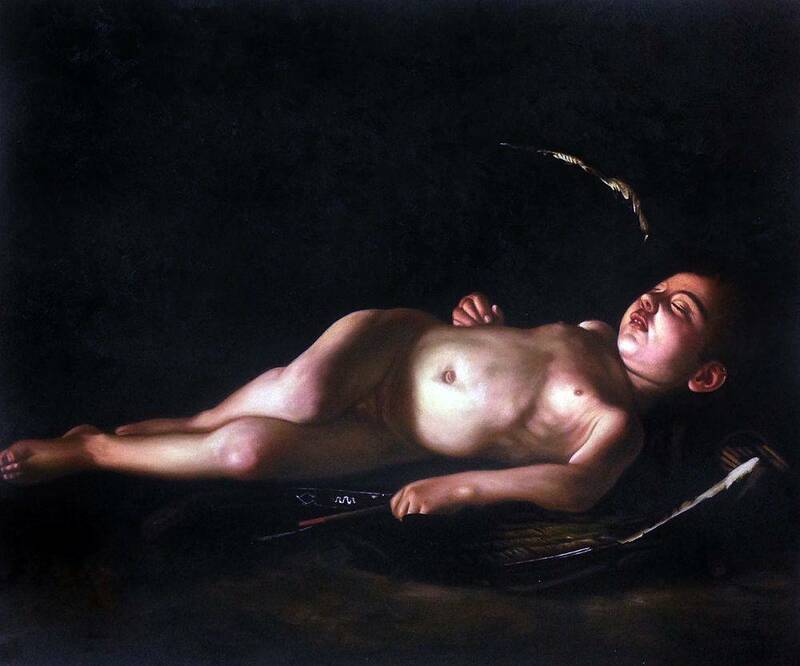 Sleeping Cupid is a beautiful painting by Carvaggio. This baroque masterpiece has been recreated detail by detail, color by color to near perfection. It will sure bring grace to every room. Michelangelo Merisi da Caravaggio (1571 -1610) was an Italian artist active in Rome, Naples, Malta, and Sicily between 1592 and 1610. His paintings, which combine a realistic observation of the human state, both physical and emotional, with a dramatic use of lighting, had a formative influence on Baroque painting. Famous while he lived, Caravaggio was forgotten almost immediately after his death, and it was only in the 20th century that his importance to the development of Western art was rediscovered. Despite this, his influence on the new Baroque style that eventually emerged from the ruins of Mannerism was profound. 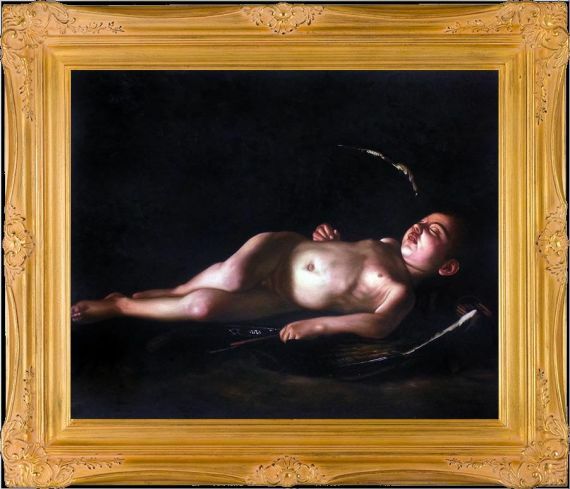 It can be seen directly or indirectly in the work of Rubens, Jusepe de Ribera, Bernini and Rembrandt. 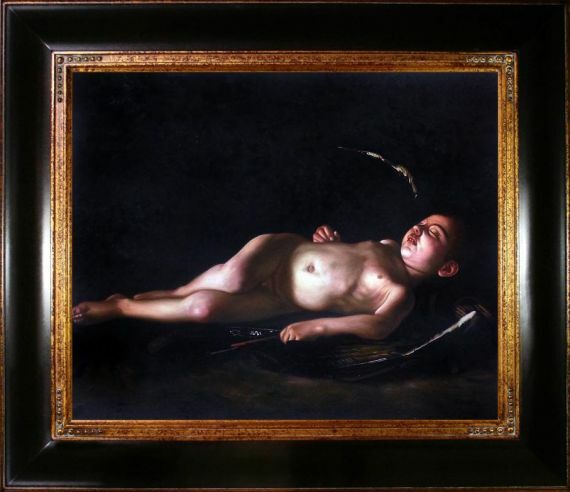 Color Palette for Sleeping Cupid, 1608 is empty.